Website errors – They come in all types and levels of severity. 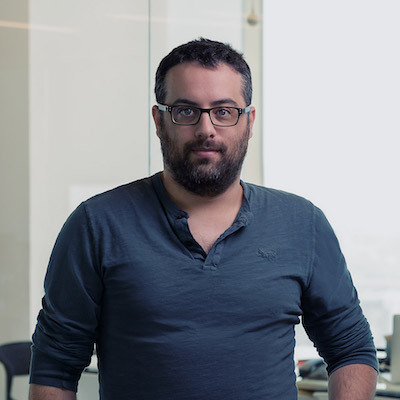 But what you should always keep in mind is that no matter how talented a development team, or how robust the technology an eCommerce site is built on, they will happen. It isn’t a question of if, but of when. So, how are errors being handled by leading online retailers today, and more importantly, what does it take to serve error messages with grace? 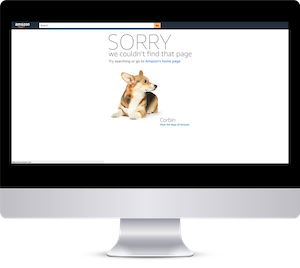 Unfortunately, it’s common practice that errors, and by default, error messages, are left as an afterthought when developing an online store. At times they are even forgotten about altogether. However, when they do occur, and either no message is generated or shoppers are redirected to a message that isn’t clear, helpful, and effective, an opportunity to engage with and win customer over is lost. And with that loss, comes further injury to a company’s reputation and sales. So, today I thought I’d take a moment to share a few examples, and provide recommendations to making your error messages count. Errors happen. They happen a lot. eCommerce managers and site managers often believe errors never happen. Yet, as I’ve already pointed out errors can and will happen on every eCommerce website. Whether a simple 404 error or site timeout. They are inevitable, and many of your shoppers will at one time or another be exposed to them. 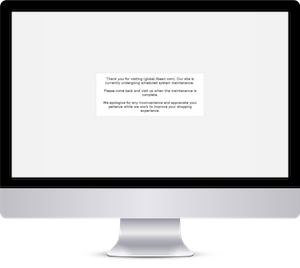 So when building your site, error messages should receive time and resources in order to get them right. Take advantage of the opportunity errors provide. Both of these error messages create a moment for the shopper to enjoy. Something that not everyone will have the chance to see, as if they’re now in on a semi-private joke. Suddenly an error has gone from a nuisance to something memorable and fun. And in the case of Dollar Shave Club it’s also a chance to get people to continue shopping. Have the right team plan and design error messages. While I’ve mentioned that error messages are often an afterthought, that afterthought is commonly had by the wrong team – development. As programmers, we want to know when something has gone wrong so we can fix it. But that also leads us to create error messages that clearly display what’s gone wrong, resulting in shoppers seeing frightening messages that display lots of technical jargon they can’t comprehend. Avoid scaring shoppers at all costs! Instead of adding debugging information to your error messages, I’d recommend using an error monitoring system to log different errors when they occur. They appear for many different reasons. And server-related errors for example, can actually originate from many different places, including application servers, static web servers, load balancers, caches and CDNs. So, it’s important to set up messages coming from each of them, and that each one be clear, simple, and consistent. They must also always look like they’re part of your website. Avoid for example leaving default error messages from your eCommerce platform, like the one below. It’s surprising just how many online stores do this. 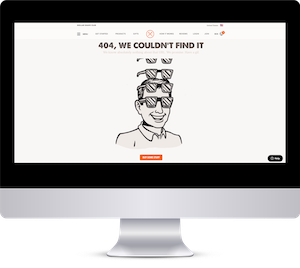 Error pages are simple to build. So be sure to build them. Because they’re served when site functionality is limited great error messages are usually simple static HTML. Therefore, they don’t require enormous investment of time or resources or regular updates, as they’re built with the simplest technologies. The bottom line? There’s no reason not to fully leverage the error message. Give your eCommerce business a leg up by using functional and creative error messages that offer a positive experience to your shoppers. Do not leave them to the last moment, instead plan error messages out as you’re planning a site. And if you’re site is already up and running and your error messages don’t meet the requirements I’ve laid out here, schedule the time and resources needed to get them right. After all, error messages are a great opportunity to engage with and delight your customers. So, with all these reasons to make errors count, it’s time to begin delivering error messages with grace.